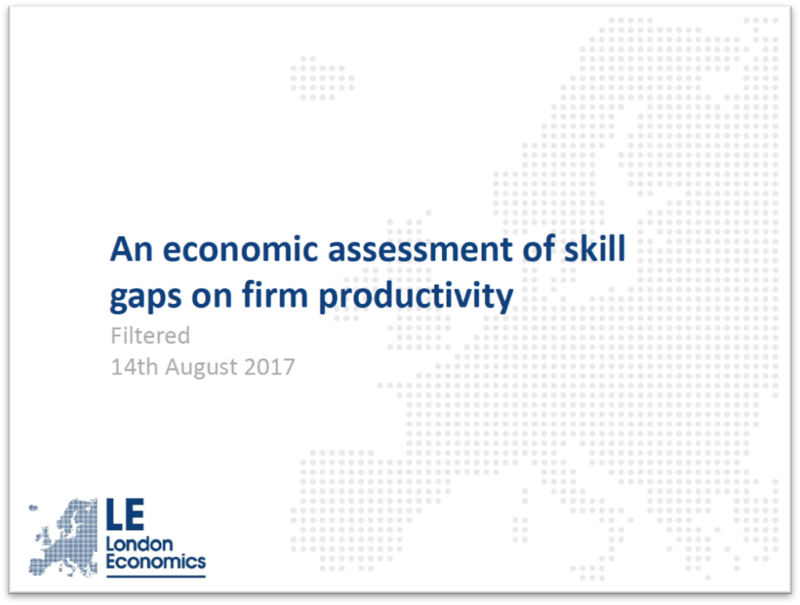 London Economics has undertaken research for Filtered, providing comprehensive insight into employer demand for skills driven by skills gaps. Using the 2015 wave of the Employer Skills Survey (ESS), LE found that skills gaps have a significant effect on a number of business outcomes including losing business to competitors and increasing labour costs. Being able to link skills gaps to tangible costs for business brings home the urgency of the problem, and importantly shows how to direct action to increase productivity. Fill out the form to download your copy of the study.